English can make all the difference to your personality. But how to begin learning this secondary language! We have got tips. 1. Loud reading: You have to first get into the habit of hearing yourself speak in English. What better way than to pick up a simple primary school English textbook piece and read it aloud for 15-20 minutes every day. Remember, understanding is not your objective here. Make it a habit like brushing your teeth and in two weeks, you will have the confidence you need for speaking English. 2. Five words a day: Learn five words of the same field/topic/subject each day and use those words somehow during the day. For example, pick the subject ‘adventure sports’ and learn five related words such as hiking, paragliding, bungee jumping, mountain biking, and jet skiing. Find out their meanings, create your sentences and share with someone who is close to you. Towards the end of the month, you will find that you have added 150 words in your vocabulary. 3. 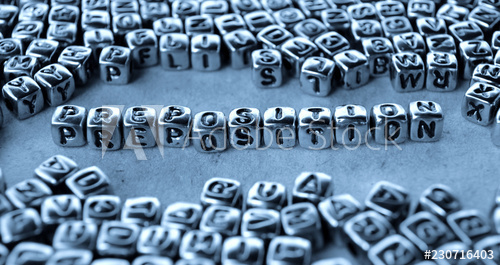 A phrase a week: Get yourself registered on www.phrases.uk.com. You will receive a popular English phrase every week in your inbox. Use this phrase each day during the week in a sentence. Ask someone who knows English and checks if you are using it correctly. 4. Rehearse: Remember that you cannot speak English on the spot if you have not practiced it. Hence, make a calendar of themes such as self-introduction, hobbies, and likes, favorite movies, actors and books etc. Now prepare in English each of these topics every week and practice. Pick a friend and share with him/her. Get yourself corrected. For more English tips, watch this section! When we learn a secondary language, our understanding is often affected by our mother tongue or what people call our ‘heart language’. That is obvious. However, it is important that we respect and appreciate the structure, logic and cultural ways of the other language. A few tips for understanding the way English works. 1. The S-V-O structure: Hindi has the subject first in a sentence. Then the object followed by a verb. English, on the other hand, follows the Subject-Verb-Object sequence. As you process a sentence in your mind, you ought to remember this structure. Practice this for 10 days and see the results. 2. One ‘You’: Hindi has three levels of You: Aap, Tum, Tu. 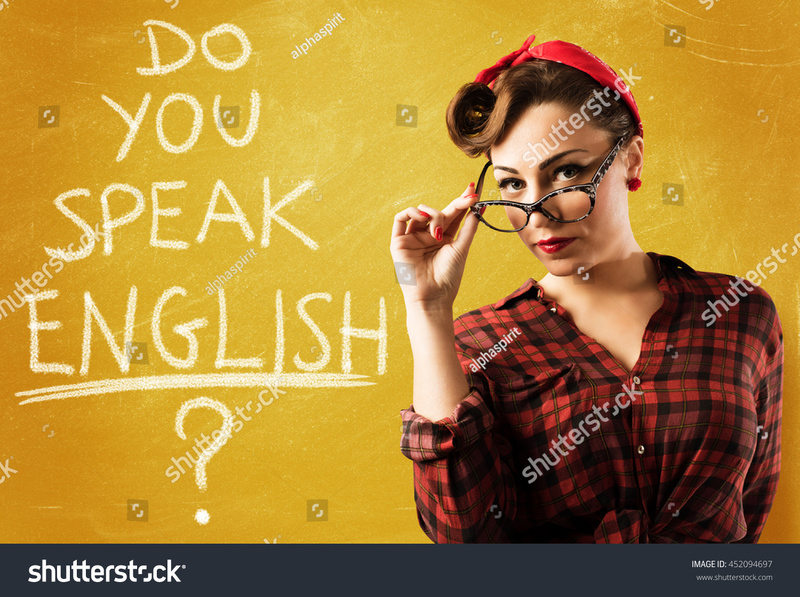 English has just one: you. In the English language "you" can be used for a single person as well as for many people. And by default, this is always used in an honorific way; hence it always takes a plural verb. Example- You are a liar. You were a student. You have a car. 3. States v/s Verbs: It is important to note the function of the verb. When a verb shows some action it is said to be an action verb. Eg- He eats ice cream. But a verb can also show us state of mind/ status of a person. Eg- He is sad. Eg- He is a student. This is particularly important in the simple present and the simple past tense. Learning the English language is a matter of practice. And practice will require you to cultivate some habits. Once cultivated, these habits can go a long way in making English part of your life. 1. Reading: How much do you read English? What is the volume of English reading in your daily life? If you are not a book lover, you can read magazines and newspapers in English. Read at least 1,000 words every day in English. 2. Listening: Another habit that you must get yourself used to of listening English. What can be the most practical ways? Listen to BBC Radio news, English songs, English news channels, Hollywood movies. 3. Writing: Till the time you master English, you must get into the habit of writing your daily routine. For practicing writing, begin with diary/ journal writing. Share your daily routine and experiences of the day. Get your journal corrected by someone who knows English. You will see positive results very soon. 4. Speaking: Someone had said ‘No one cares if you cannot dance well. Just get up and dance.’ This is the attitude you need for learning English. Try as much as you can to speak in English. Start right away! 5. Feeding: Understand that English will not come out of your mouth until you feed yourself with it. When does a glass full of water spill? When it is filled up to the brim. The same thing is true for the English language. Fill your mind with things in English and it will spill out of your mouth. Yes! You do want short-cuts, don’t you? That’s natural when you are desperate to speak English fluently. The RWLS principle is therefore applicable to learning any language. 1. Reading: Like it or not, you need to fill your mind with English. And the best way to do this is to start out reading the maximum amount of English as possible. If you're not a book-reader, you can always read things that interest you. It might be as trivial as movie industry gossip in the Times of India or as important because of the Editorial. Go for it, get a dig into the world of reading. 2. Writing: The best way to get started in writing is to start journaling your days of learning English. Write down new lessons or learning each day. Keep a track of your daily activities and pen them down. The ability to precise mundane things can take you deeper into expressing in English. 3. Listening: Observe how other people speak. Listen to interesting talks on Youtube, listen to Hollywood movie/title-series dialogues, follow an English television series, log on to ted.com and hear different speakers. Consciously expose yourself to hearing of English. This is a great practice of comprehension. 4. Speaking: If you follow the above suggestions consistently, you will be prepared and confident to speak out your thoughts. Understand that English cannot come out of your mouth unless you fill yourself with it. As much as possible, speak in English with friends, colleagues, classmates, family etc. In the beginning, stop worrying about correct English. Just start speaking. If you are serious about learning English, you will read. You are able to discuss news with your friends in Hindi because you have read the news in Hindi. You read a great story in Hindi so you will retell the same in Hindi. Imagine when Hindi here is replaced with English. Imagine what distinction it'd build into your speaking. 1. Reading generates thoughts: You may have heard a million times now that you ought to think in English to be able to speak in it. Well, that will never happen unless you read in English. Reading generates thoughts. 2. Reading helps in comprehension: When you read in English regularly, you will be prepared for a spontaneous situation where someone speaks to you. Regular reading will acquaint you with the various styles of sentences, words, and structures. 3. Reading gives content: So even if you have decided to always speak in English if you do not have enough content or thoughts, your conversation will be very limited. If you read, say sports news in English, you will have a subject to discuss in English. 4. Reading increases vocabulary: It is not possible for you to sit with an English dictionary every day and learn some new words. Even if you did this, unless you use those words, they will not stay in your memory. Reading automatically helps build vocabulary. 5. Reading gives information: Information is power. And if you are well-read, you will have the information of the world. This will make you a powerful person in communication. You will have arguments, examples, and facts ready for any kind of discussion.